Thats a great kit containing all the pieces you need to be successfully with you're ozone treatment. 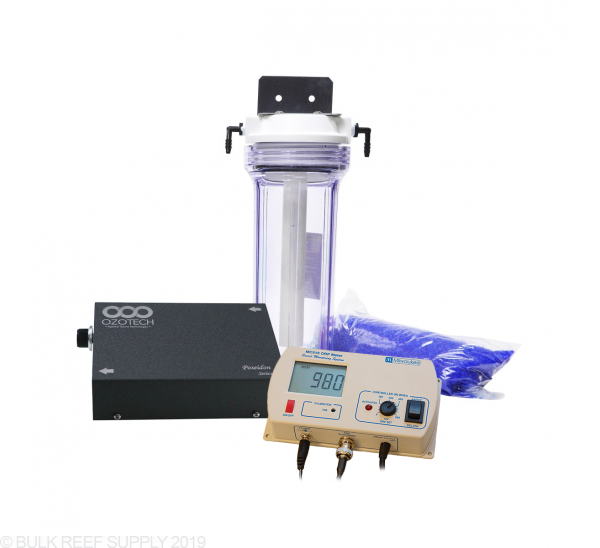 I combined with the reef octopus ozone reactor and works great! All together makes a best quality choice for a good price. These ozone generators are the best units made for aquarium applications! High output (variable), very reliable, and very well built. Compared to the other package type units out there, this is hands down the best value. 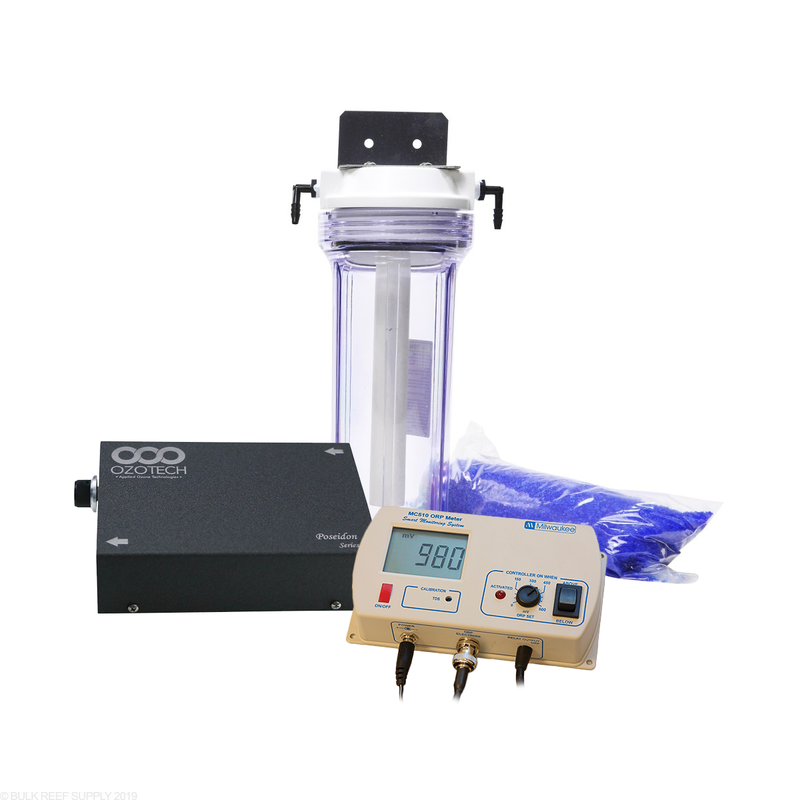 You get the high output ozonizer, air dryer unit, and a quality controller with probe. With the seperate components you can service and replace most everything cheaply and in your own home. Similar all in one units are absolutely not service freindly, and if one part goes bad (ozoner/controller) the entire unit needs to be sent out for repair or replaced $$. Thanks for another great deal BRS. Does it come with a check valve? and what's the size of the hoses in mm? This will not include the Check valve however the standard 3/16" check valve can be purchased. As for MM tubing these will actually come with 3/16" inside diameter and not exactly mm. Feel free to let us know if you have any further questions! This can be installed in the air line of the skimmer to draw in. The generator will need to be hooked up to a skimmer or pump which can draw air in. Hello, I was wondering if you could give an idea of how loud the generator is while running? 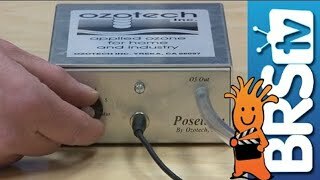 The actual Ozone Generator will be almost silent, as it uses a cold spark corona discharge to create the ozone which is a pretty quiet process. You will need an air pump, or something to move the air through the generator and that is the piece of equipment will usually be what makes any noise. If your using it with a skimmer in the vast majority of cases the pull from the skimmer pump will be more then sufficient.